Hello from Ohio! Today I’m posting from outside of Cleveland, Ohio, where I’m on a sponsored trip with Nestle. Getting here yesterday required a waaaaay too early morning wake up at 4am to catch a flight from Columbia to Atlanta and then to Cleveland. I can’t wait to one day live in a city with an airport that has more than 10 gates. I got to the airport around 5, immediately boarded and half slept for the hour flight to Atlanta. When I arrived, I really wasn’t hungry at all. Usually it takes at least an hour after waking for me to feel hunger, and waking up so early then falling back asleep, my body was just totally off. Also, it was like, 6 am. But I also knew hunger would eventually kick in, likely in the middle of my 2 hour flight to Ohio. Since a mini-bag of 10 peanuts isn’t exactly the breakfast of champions, I knew I needed to eat something, despite my belly telling me it wasn’t time yet. So, I grabbed a coffee and an overpriced sweet potato biscuit with maple turkey sausage, egg and cheese (which sounds a lot better than it tasted), and ate about 3/4ths of it. This is an example of what I like to call honoring your practical hunger. Honor your hunger is one of the first principles of intuitive eating, but sometimes it gets translated into only eat when you’re hungry. It’s really easy to bring the diet mentality into intuitive eating and turn guidelines into rules. But it’s totally acceptable, and often a smart choice, to eat when you’re not hungry. There’s taste hunger (which I’m not really talking about in this post), when you’re not hungry, but a food looks really tasty. I run into this a lot when I’m traveling, when I want to try all the foods that I know I won’t be able to have again. There’s also practical hunger, which is when you’re not hungry, but for practical reasons, it’s a smart idea to eat. You’re going into a situation where you may not have access to food for more than 3 hours (i.e. a plane flight, meetings, classes/seminar, etc). You have to take a medication with food. You’re about to do a strenuous workout, or workout for longer than 30ish minutes. I’m sure there’s other examples too, but my 4 am brain isn’t coming up with any right now. In these cases, my primary goal in eating is just fueling my body. Other times, pleasure might be a higher priority, but in these situations, I’m thinking more about what’s going to stave off hunger, keep my blood sugar steady, and what’s available. Not every meal has to be a gourmet eating experience, and that's okay. As with anything with intuitive eating, it’s important to remember everything you learn is a guideline, not a hard and fast rule. I hope this post helps you feel more comfortable knowing how to honor your honor in a practical way. 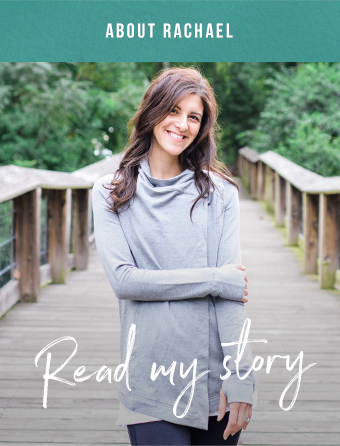 If you're struggling with understanding hunger/fullness in intuitive eating, sign up for my free Rediscover the Joy of Eating video series, where I share a video that goes more in depth on hunger/fullness. Just enter your email into the signup box in the sidebar!